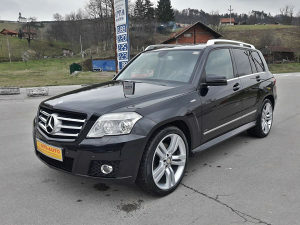 MERCEDES GLK 220 CDI SPORT, 2.2 CDI 125 KW/170 KS ! 2009 G.P ! - ALU FELUGE 20"..I JOŠ MNOGO TOGA. TEK UVEZENO I PLAĆENE SU SVE OBAVEZE DO REGISTRACIJE !